Hello there! This is episode 110 of Hallå Där but maybe also episode 1 of Hello There? Or something? Anyway, we did this one in English and if there's an interest we will do more like it. 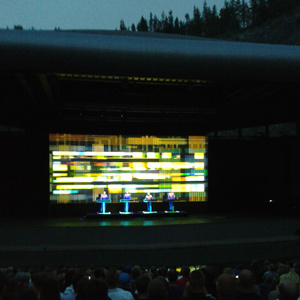 WE ARE THE ROBOTS: After a brief discussion on the end of the world, we get into Jakob's Kraftwerk experience in Dalhalla and the local non-existent music scene. I PRACTICE WITH BOW: Anders was Robin Hood one day. He practice with bow. A DAY AT THE RACES: Operating a finish line camera is less exciting than you'd think. Except when things go wrong.